We buy electronic scrap, medical equipment, sputter targets and obsolete components from wind turbines such as neodymium and samarium/cobalt magnets. We recover valuable materials such as strategic metals and rare earths from these sources in order to return them to the economic cycle. Professional recycling services for wind turbines are still in their infancy. Although the generators and turbines contain many recyclable materials, the potential for our environment and economy is still largely unrecognised. Lars Walch GmbH & Co. KG is your professional partner for storage, processing and recycling, all the way through to recirculation. We would be happy to call upon decades of experience to help you dismantle and recycle large plants. Our top priorities for every project are reliability, absolute adherence to deadlines and hand-in-hand project development with our partners. Nd/Fe/B magnets / precious metals / rare earths & strategic metals / electronic scrap / medical devices / wind turbines / Li-ion batteries. 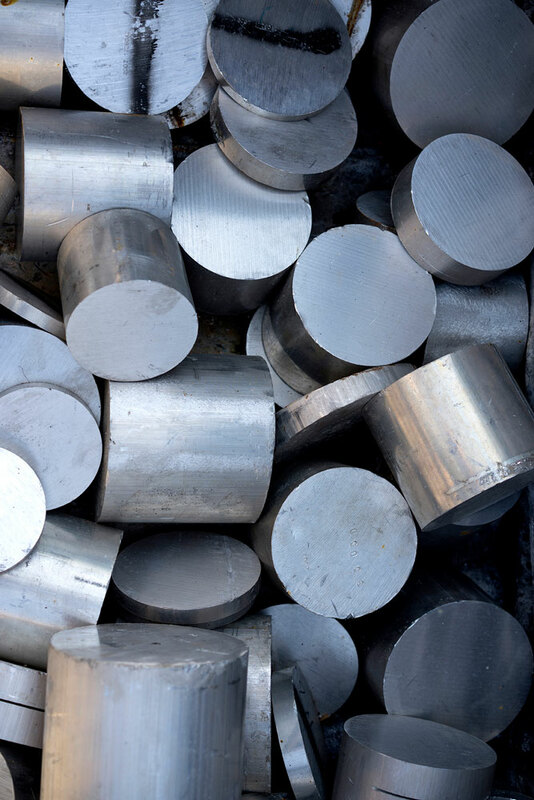 Strategic metals and rare earths such as neodymium are used in many technological applications, including large industrial plants, small electronic components, medical equipment and everyday devices like mobile phones. Printed circuit boards, circuit boards, computers, mobile phones and laptops. We achieve up to 99% efficiency when recycling electronic waste through extensive manual processing. We work as a recycling partner when wind turbines and wind farms are dismantled. Large systems contain many recyclable materials such as neodymium magnets that we are able to return to circulation. Our key qualities as a partner are reliability and adherence to deadlines. Particularly high requirements must be fulfilled when disposing of medical technology such as ultrasound devices, magnetic resonance tomographs (MRI & MR), computer tomographs (CT), open magnetic resonance tomographs (OPEN MRI PERMANENT MAGNETS), pacemakers and implants. We dismantle the components professionally and recover the recyclable materials. We participate in long-standing cooperations with our partner companies when dismantling and disassembling medical devices. The devices are dismantled by specially trained personnel at our company premises. All medical devices are disinfected and tested for radiation in advance. As a specialised waste disposal company, we ensure that all the lithium-ion batteries from electric or hybrid cars and their components are recycled in an appropriate manner. The efficient recovery of lithium from batteries is currently being researched. Lars Walch GmbH & Co. KG is also involved in research and development in this area. We train and employ specialists, keeping all our staff up to date on the latest developments. We use the most advanced machines to handle and process materials. We dismantle electrical waste manually in order to remove components that contain harmful substances without contaminating other parts. The resulting materials are thus homogeneous and can be recycled immediately without costly preparation. This approach allows us to achieve a recycling efficiency of up to 99%. Manual processing is more expensive, but protects the environment from serious damage. In order to maintain a high level of professionalism, Lars Walch GmbH & Co. KG regularly participates in new research projects with renowned institutes in various areas of Germany. Professional waste disposal requires specialist knowledge: our customers and partners can rely on our adherence to statutory regulations, ecological principles and tried-and-tested processes. Local authorities, industry or private customers… we offer everyone comprehensive, expert advice on waste disposal. We will analyse your current situation and develop an individual waste disposal concept based on the circumstances and statutory regulations. Our experience and competence make us a great choice when you need help with recycling. We carefully sort stamping waste, metal swarf and other metal waste from industry and handicraft according to purity, store it temporarily, and then pack it into transport units for processing plants and melting furnaces. We provide our customers with troughs and containers for this purpose in many different designs and sizes. The lawful and economic return of secondary raw materials to recirculation is guaranteed. All the substances that are released during manual disassembly are collected in marked containers. As soon as everything has been completely reduced to its individual parts, all these parts are weighed individually and included in the disassembly report. Independent certified laboratories provide reliable analyses of the composition of the parts and provide us with information about any hazardous substances that may be present.